In this Science experiment, preschoolers will learn how salt crystals form and what happens when water evaporates from salt. 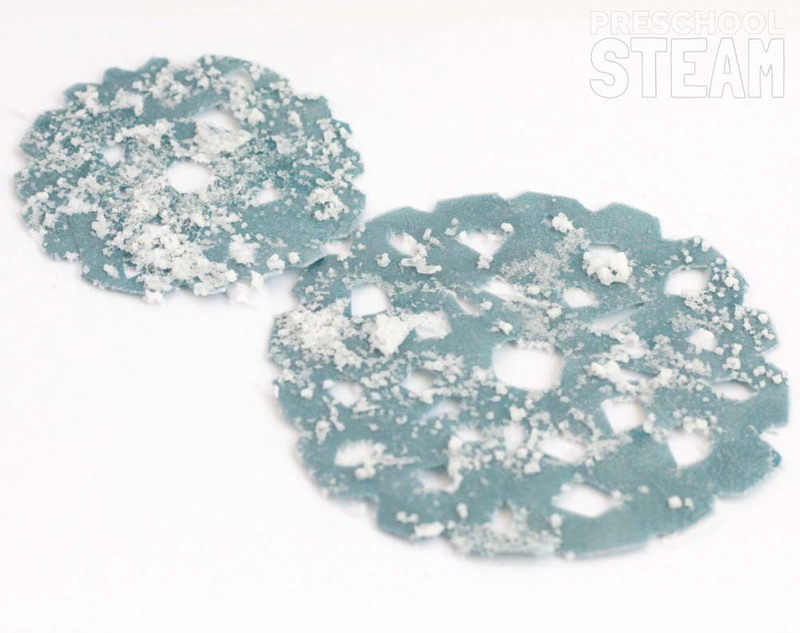 As a bonus, the salt crystals leave a pretty crust on the paper snowflakes that look just like snow! 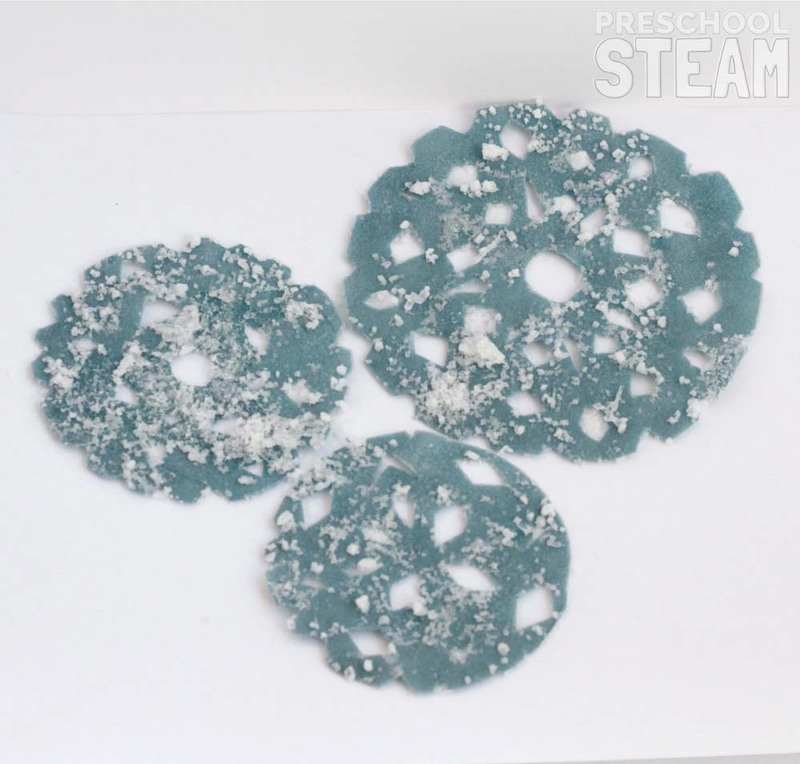 Preschoolers will be delighted with how pretty these snowflakes turn out. Objective: To learn about salt crystals and water evaporation. 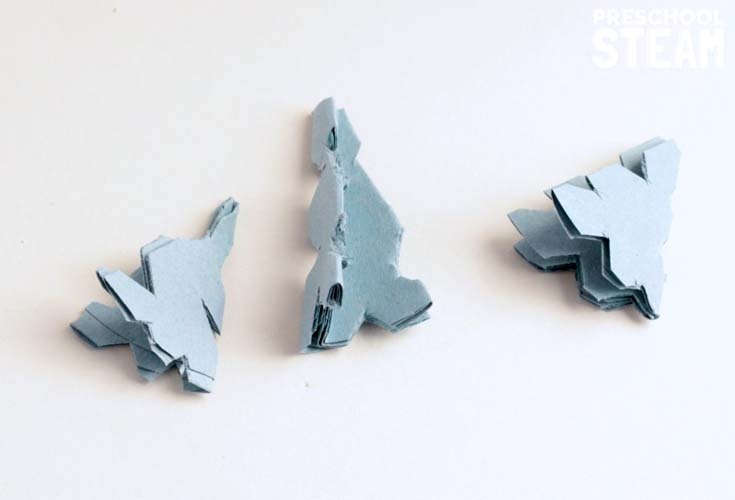 Materials: Blue paper, scissors, salt. 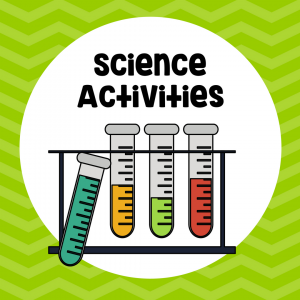 Ask: What happens when salt and water mix? What happens when salt water evaporates? 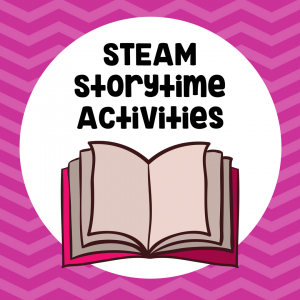 Learn: Preschoolers will learn a lot with this STEAM experiment. Preschoolers will learn about water evaporation, dissolving salt, and how salt crystals are formed and what shape they take. Set out some paper and kid-safe scissors. 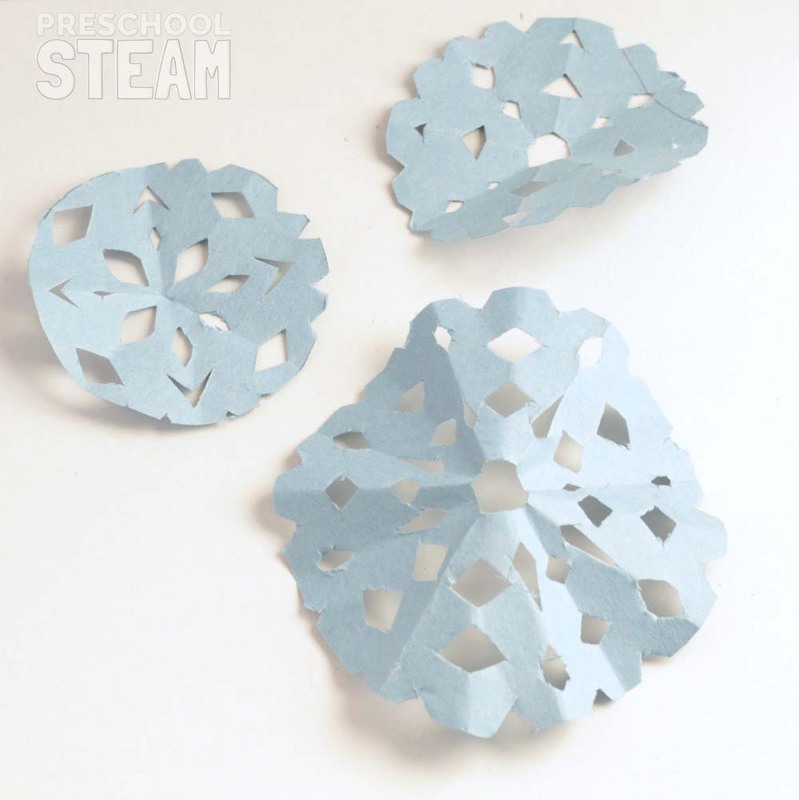 Let children cut out their own snowflake designs (we used a circle design). Once the snowflakes are made, place them in a shallow container or on a plate. An adult should dissolve salt in a small amount of water (the less water you use, the faster the crystals will form). Keep adding salt until crystals start to form a crust on the surface of the boiling water. Carefully pour the water over the snowflakes (don’t let kids near during this part). After the water cools, show the kids how the wet snowflakes don’t have crystals now, but they will form as the water evaporates. Place the tray in a sunny spot. When the snowflakes dry, beautiful crystals will remain. Science: Talk about how all crystals take a specific shape when forming. You don’t have to go into discussion of ionic bonding, but you can talk about how salt crystals will always take a square shape. Use a magnifying glass to inspect the crystals after they form. Discuss the water cycle and where water goes when it leaves saltwater. Technology: Look at pictures of snowflakes under a microscope. Use a magnifying glass to inspect the crystals. Engineering: Let the kids design their own snowflakes. Art: Discuss how art is present everywhere in nature. 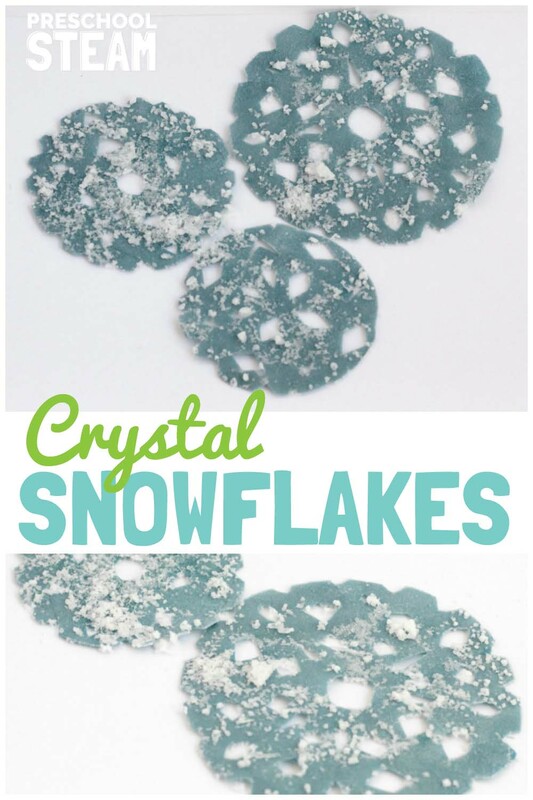 Snowflakes are beautiful just when made from paper, but adding sparkly crystals makes them even prettier! Math: Count how many crystals form on each snowflake. Time how long it takes for the water to evaporate from the paper.